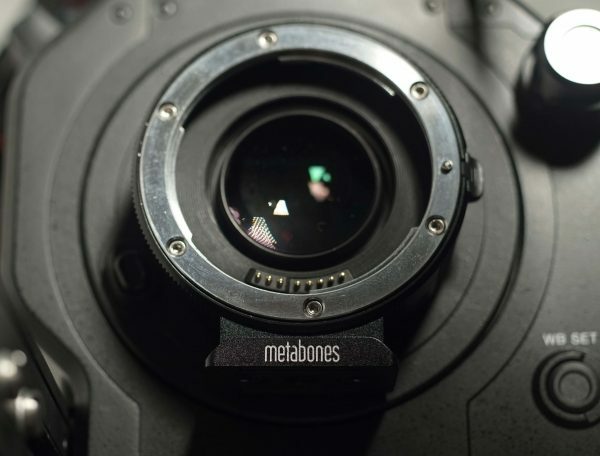 Both Sony and Metabones released new firmware today which are designed to improve the performance of the FS7. Activates the support of the optional extension box XDCA-FS7. A PXW-FS7 which has V1.00 installed cannot use the XDCA-FS7. Overall operation performance has been improved. I don’t have my FS7 with me this week and so will have to wait to find out exactly what this does. 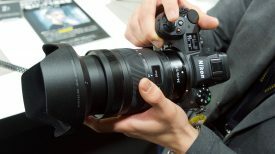 (UPDATE: Matt Allard at the Inter BEE show in Japan has spoken to Sony and they say the new firmware doesn’t fix the lens related problems I’ve been writing about). Metabones have issued firmware 0.38 for their EF to E-mount Speedbooster Ultra and 0.37 for their Mark IV Smart adapter. The 0.38 update specifically refers to the FS7 only mentions that it addresses misreported aperture issues. I hope this firmware also deals with the issues I detailed in this post – but right now I can’t test it. Benefits and improvements: Due to FS7 can not support aperture faster than f/1.0, lenses slower than f/1.4 report boosted aperture to camera body; lenses at or faster than f/1.4 report original aperture to camera body, in order to address a FS7 compatibility issue. If you own the FS7 and the Metabones adapter and have had a chance to test this I would love to hear from you. Our technical editor Matt Allard spoke to Sony reps at the Inter BEE show in Tokyo and they told him that as far as they were aware the latest firmware isn’t designed to resolve the iris issues. 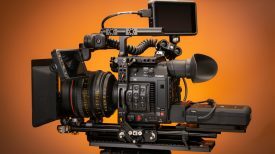 This appears to be confirmed by our readers who have performed firmware upgrades on both the camera and their Metabones adapters. “Just done updates on camera and Metabones Mk IV. Still same issues – blades opening all way. Tried both Sigma & Canon lenses. 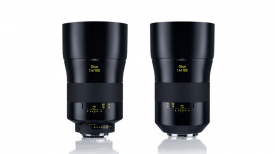 Going to try some more lenses – wasn’t happy at all with Sigma (was older 50mm not Art). Advanced mode still unusable. “Wait.. am I understanding this right? If I use an f/2.0 lens, the Speedbooster will report f/1.4 and if I use an f/1.4 lens, it will report f/1.4. So now I have two lenses reporting the same aperture even though they’re different? Oh the nightmares this will cause. So to sum up. It seems clear the FS7 firmware update does nothing to fix the iris and waveform issues. The Metabones firmware update is having some effect but it doesn’t appear consistent. Please keep the comments coming.